Scotland’s Jess Meek scored the biggest win of her fledgling career when she beat France’s Aaelle Carnet at the third hole of a sudden-death play-off in the St Rule Trophy tournament at the Home of Golf. 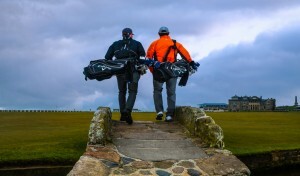 The pair, both aged 20, had tied after 54 holes — 36 over the New Course on Saturday and 18 over the Old Course yesterday (Sunday) — on 13-under-par 213. 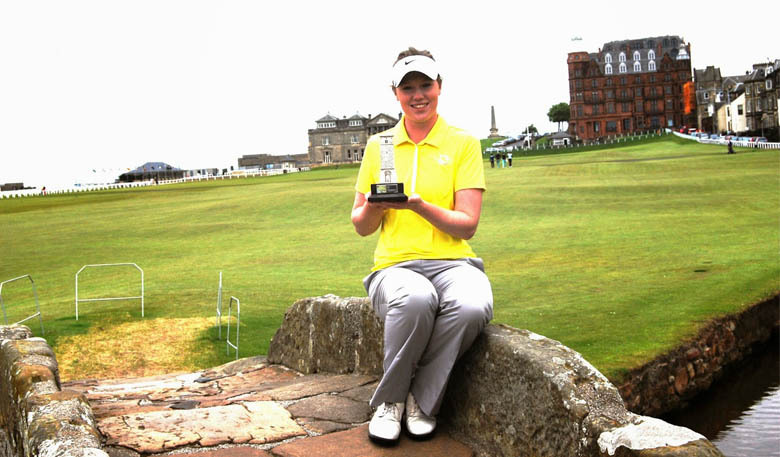 Scottish Under-21 champion Meek shot 67-75-71, while Carnet carded rounds of 69-71-73. Meek, who has just completed her first year at the University of Missouri, started the final round two shots behind overnight leader Carnet. The 20-year-old from Carnoustie Links got off to a flying start over the first nine holes of the Old Course. She was six under par for the first seven holes with an eagle three at the fifth and birdies at the second, third, fourth and seventh in six-under 32 to the turn. Carnet, out in one-over 39, was swamped by the tide in Meek’s favour and her two-shot initial lead became a five-shot deficit with nine holes to play. But the French player turned the tables on the inward route which she covered in 34 to Meek’s 39 and capped her comeback by holing a 10ft putt on the 18th green to go round in 73 to Meek’s 71 and force a sudden-death play-off over the first and 18th holes. The first two holes were halved but disaster struck the French player at the third hole (the second replayed) when she put her second into the Swilcan Burn. Meek, who had driven miles to the left, hit the green with a solid iron shot to win the hole and the tournament with a par four. Meghan MacLaren (Wellingborough), a Curtis Cup team candidate until late in the race, finished third on 217 (72-74-71). Three players tied for fourth place on 219, including Alice Hewson (Berkhamsted) whose final round of nine-under-par 67 was the lowest of the day — one shot outside the women’s amateur course record. Hewson, a Junior Vagliano Trophy player for GB and I, won the Lawson Trophy for the lowest total by an under-18 years player. Alice, in partnership with MacLaren and Bethan Popel, also won the International Team event with a total of 430. France (441) were second and Scotland, whose team members were Connie Jaffrey, Meghan Briggs and Gabrielle MacDonald, tied with Belgium for third place on 450.